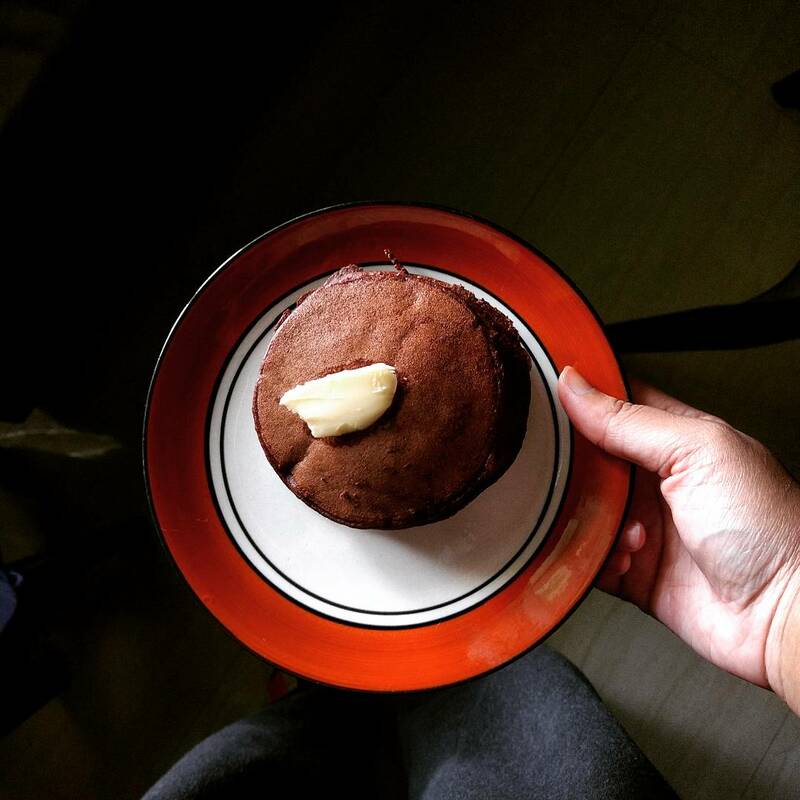 ‘Ragi and chocolate’ were not a concept I considered till I saw the recipe for vegan ragi and chocolate pancakes on spoonforkandfood’s Instagram feed. She, Shaheen, has adapted it from Rekha Kakkar’s recipe. So, I went through the recipes and came up with my own within minutes of the discovery. I, as usual, went for ingredients I had at hand and whipped up something that turned out to be recipe worth recurrence. It’s healthy, gluten-free, sugar free, and eggless. A win on many fronts, to be honest. The texture of the pancakes is silky smooth and just as soft. Soft, without being delicate. The cocoa overpowers ragi’s ragi-esque taste while complementing it as well. Both of which I heartily welcome. Combine all the dry ingredients in a medium sized bowl. Add the wet ingredients to it and mix till everything is smooth and lump-free. Heat a pan at medium heat, grease it with a bit or oil or butter. You can skip this if using a non-stick pan or want to go oil-free. Use a ladle or a big spoon, depending on the size you want your pancakes to be, and pour the batter onto the pan. Once bubbles start forming on the top, flip. Let it cook on that side for about 5-10 seconds. Then take it out. Repeat till you run out of batter. I added a dollop of butter as topping because I wanted something salty. You can use any topping you like! Just have fun and a guilt-and-gluten free meal.